The Independent National Electoral Commission is set to announce President Muhammadu Buhari president-elect, following the collation of results of the 23 February election. INEC chairman, Mahmood Yakubu will make the announcement at 3am on Wednesday. He polled 15,191,847 votes, winning in 19 of the states, after the result of Rivers was added. His main challenger Atiku Abubakar of the Peoples Democratic Party scored 11, 255,978 votes and won 17 states and Abuja. 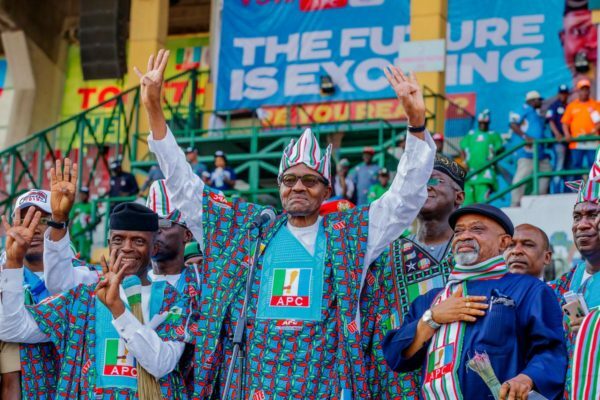 Buhari also satisfied the constitutional requirement of making 25 per cent in 34 states and the FCT. He missed the cut in Enugu and Anambra states. It means Abubakar performed worse than Jonathan. Click here to see the presidential results between APC & PDP by States.